The new Mugo Pro and Mugo Touch Bluetooth earbuds launched via Kickstarter this week, and now available to get back at a cheaper $25. Well with the Kickstarter campaign and production, worldwide shipping is expected to begin around June 2019. It comes with custom 9.6mm speakers, ergonomic fit, stereo calls and true wireless stereo technology. In 2017, we launched our first Bluetooth headset, Mugo. After more than a year, we have gathered a lot of user experience and feedback, let's get more data support and more experience, so we new introduced the new Mugo Pro and Mugo Touch. What should a powerful wireless Bluetooth headset look like? In the beginning, it should be characterized by a strong stereo, delicate and full alto and treble and deeper bass dive. Then it will give you a comfortable experience when you wear, which won't make your ears bad and would not fall into motion. Finally, it should be so reliable that it not only releases smoothly but also ensures no damage after prolonged use. " 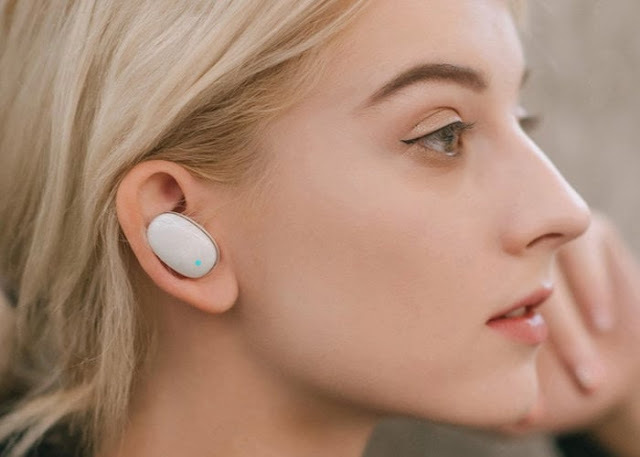 The Bluetooth earbuds come complete with their own charger, and the headset is available in two different versions in the form of Mugo Touch touch technology similar to Apple's first generation AirPods. The Mugo headset is equipped with the IC HOLTEK processing chip. - Single charge: Up to 3 hours of listening time. - Single charge: Up to 6 hours of listening time.